Cost effective and easily manageable long-term business rentals are the most popular method of hiring your business fleet. Reduce your financial and administrative burden with Business Contract Hire, a credit agreement between your business and the finance company. Leasing your fleet allows you to avoid worrying about depreciation values and vehicle administration, instead simply paying fixed monthly payments for an agreed period of time (one to five years) and hand the vehicle back at the end of the agreement. 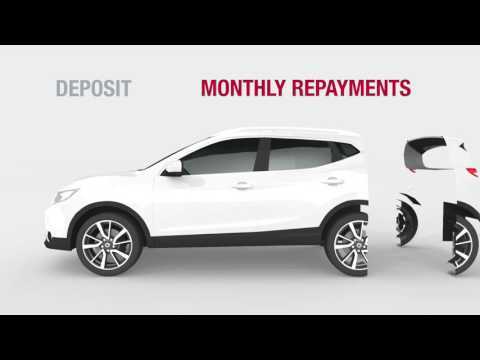 Low initial payments, usually made up for three to six monthly payments. Monthly payments are fixed at the beginning of the contract based on the duration of the lease and the annual mileage you expect to perform. The residual value of the vehicle will estimated and the monthly payments will be spread out to cover the depreciation costs by the end of the lease. Remove unnecessary administrations and costs from your business, simply pay the monthly fees and hand the car back at the end of the lease. VAT registered business can reclaim 50% of the VAT on the contract and 100% of the VAT on any maintenance element. All new Nissan cars come with a pan-European Warranty, for each new vehicle registered and operated in European countries where authorised Nissan dealers are located. Within the period of time or mileage specified, we will repair or replace, free of charge, those parts or components which are covered by the section's description and which may prove defective. Learn more about our Warranty options by visiting our Aftersales department. Terms and Conditions: *Finance is subject to status and acceptance. Terms and conditions apply to all offers. Images shown are for guidance purposes. Contract Hire Rates are based on a non-maintained contract. From £19,995 + VAT + Road Fund: On advertised offer. 5-Year / 100,000 Miles Manufacturer Warranty: 5-Year / 100,000 miles (whichever comes first) Manufacturer Warranty for the LCV range (with the exception of e-NV200: 5-Year / 60,000 miles Manufacturer Warranty for EV system parts, 3-Year / 60,000 miles for the rest of the vehicle). Unlimited mileage for Paintwork, Nissan Genuine Parts & Accessories, Roadside Assistance & Corrosion Warranties. For more details, please refer to Nissan Warranty Booklet.